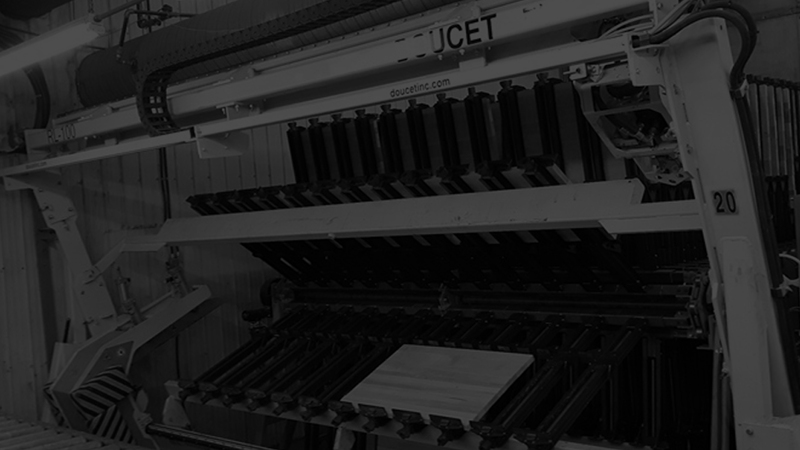 Since 1974 Doucet has been providing a wide range of high efficiency machinery solutions for the woodworking industry. 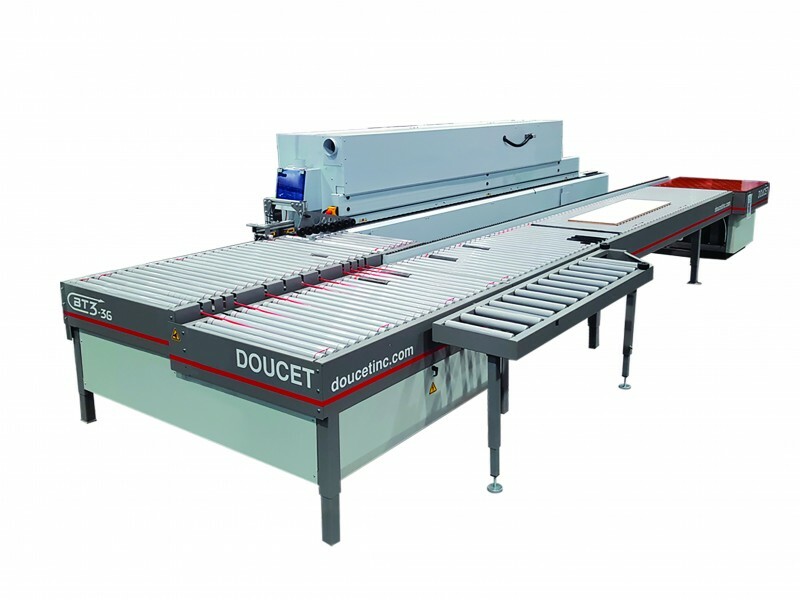 Doucet offers a broad variety of platforms and models, with the most efficient solutions designed to suit your specific needs and layout restrictions. Doucet develops and markets products that are user friendly, durable and that will remain serviceable throughout their useful life. 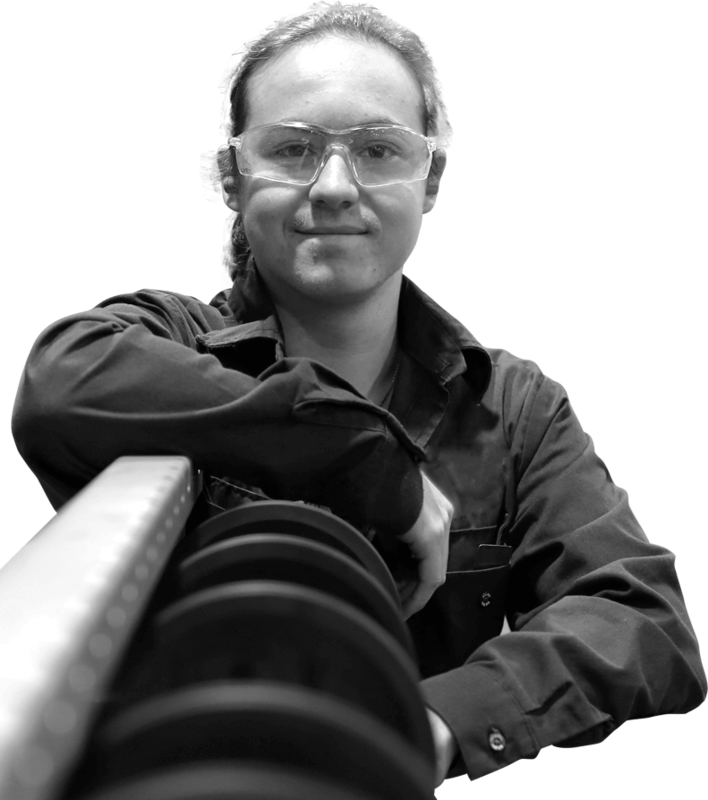 All equipments are designed and built, using the latest technology on the market, by a dedicated workforce in Quebec, Canada. 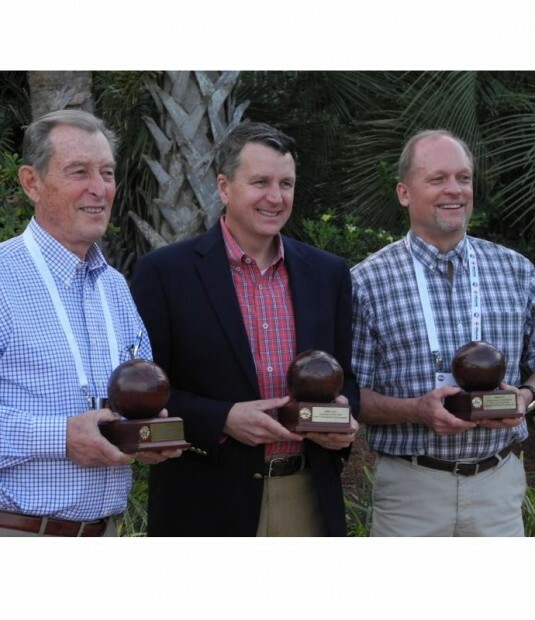 Customers can get access to our products via an extensive network of Machinery Distributors throughout North-America. Rethink your workflow and start saving on labor costs now! 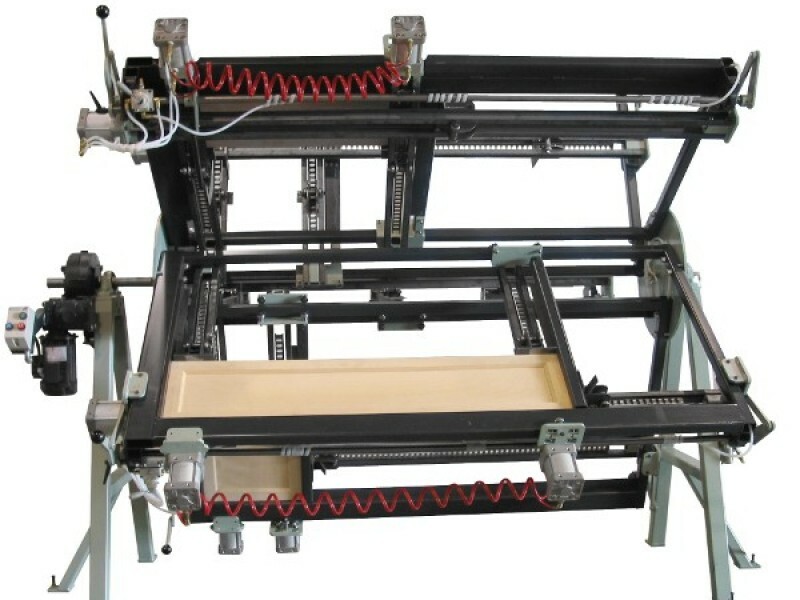 BT3 Return Conveyors, the third generation of the belt transfer return system, designed to be teamed up with medium to large size edgebanders. 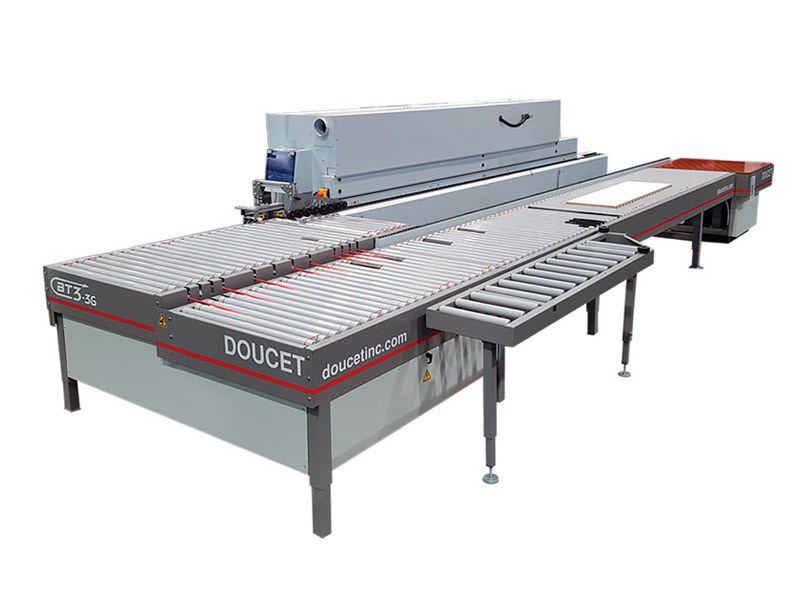 Thousands of Cabinet Makers, Furniture Manufacturers, Flooring Mills and Engineered Wood Products worldwide have included Doucet equipment in their manufacturing process. 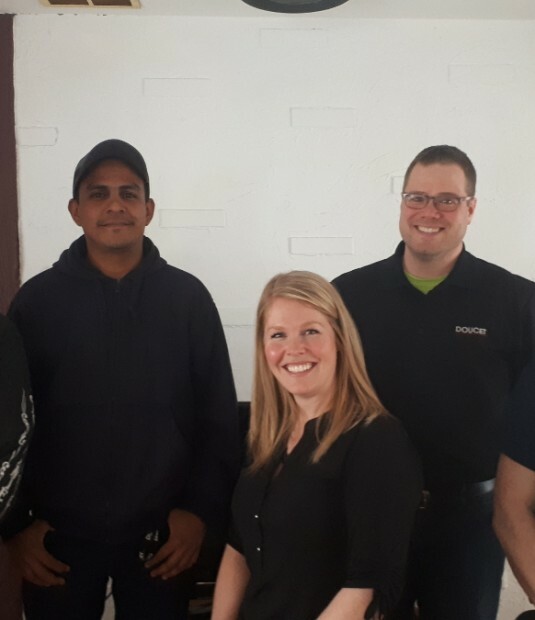 Doucet is much more than a company that employs approximately 100 employees in Quebec; it is also a stimulating and rewarding environment. You want to be part of a team that is committed to innovation and satisfaction of its customers all over the world? We have an opportunity for you! 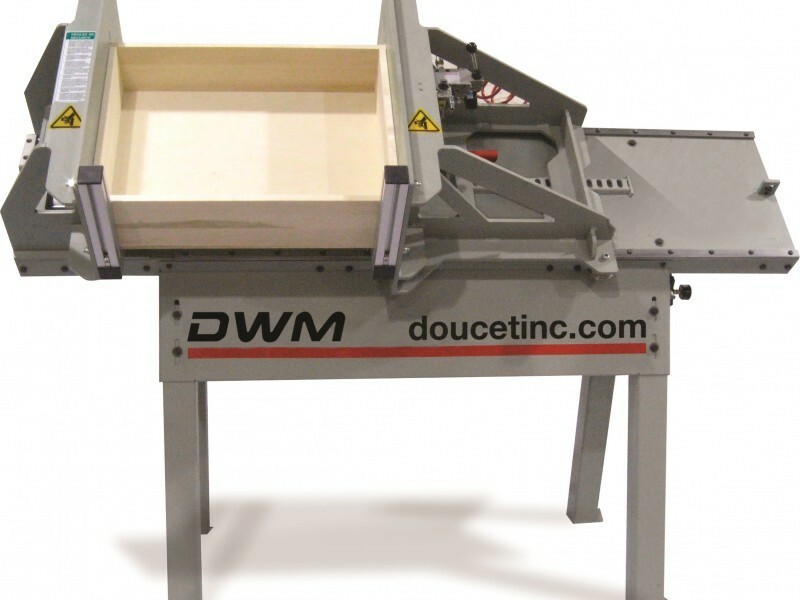 "Doucet Machineries listened to our needs and offered us uncompromising solutions in a more than reasonable timeframe." 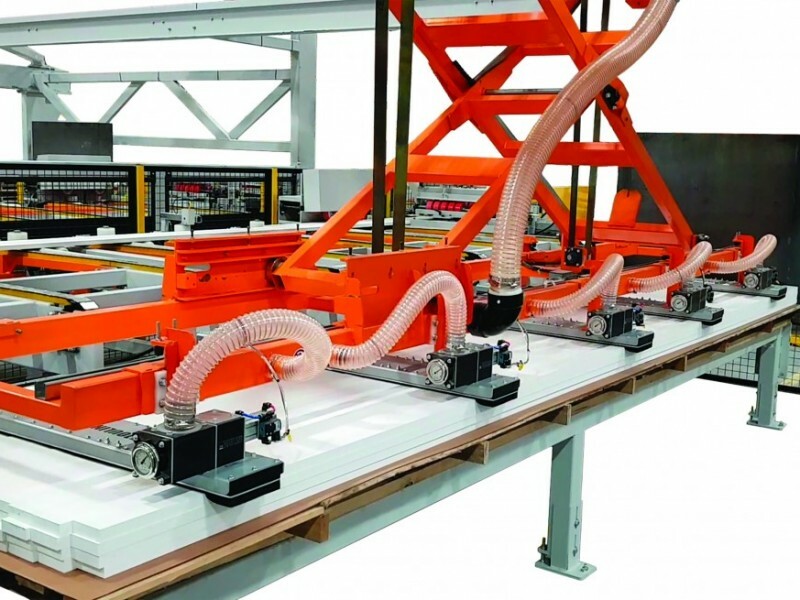 "Initially we approached Doucet for a vacuum stacker. "Doucet's response prompted us to look at the entire process rather than to limit ourselves to a piece meal approach. We quickly realized that we could create a continuous workflow with virtually no interruption. 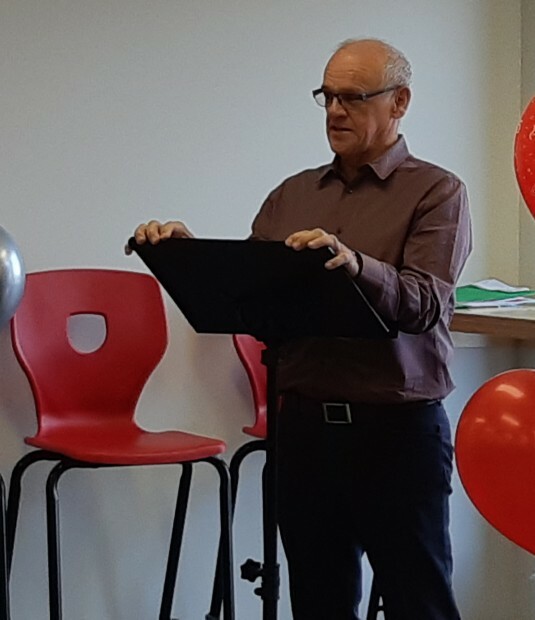 The new integrated workcell is manned by just one operator who is also responsible for moulder set-ups and the enforcement of Boulanger's quality assurance program. Beyond the obvious labor savings, hourly throughput has gone up.